Madelung’s deformity is a deformity of the wrist where part of the distal radius does not develop properly, leading to subluxation (partial dislocation) of the wrist bones between the radius and ulna. The distal joint between the radius and ulna is dislocated, leading to a prominent bump from the head of the ulna. 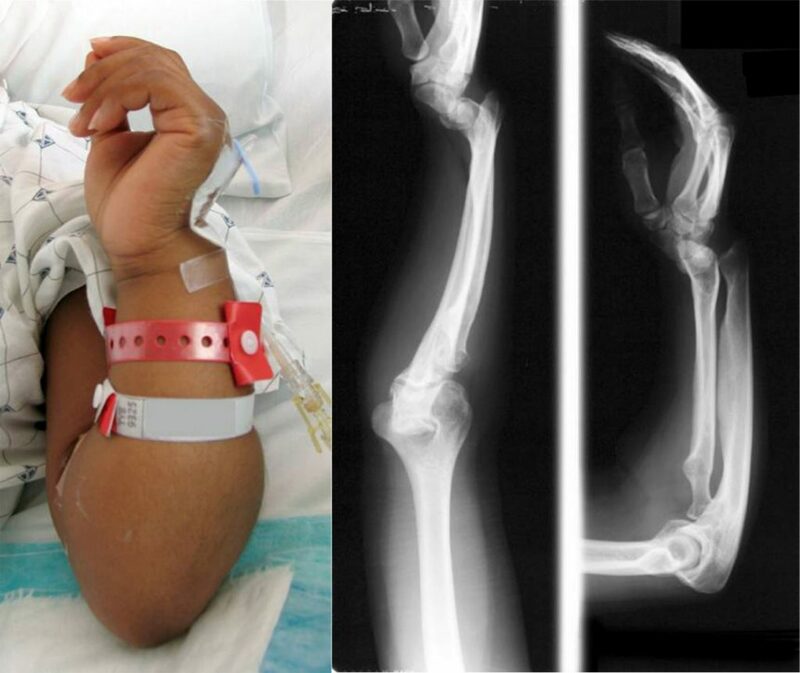 Madelung’s deformity is a Blount’s deformity of the wrist; there is a bowing of the radius. The condition was first described by German physician, Otto Madelung, in 1878. Madelung’s deformity occurs most prominently in adolescent females who complain of pain and decreased wrist range of motion. It is thought that Madelung’s deformity is caused by mutations on the X-chromosome. Many cases of Madelung’s deformity are hereditary and some are related to mesomelic dysplasia. The condition manifests bilaterally (affecting both limbs) in 50% of cases. At the Paley Institute, we recommend surgical treatment of Madelung’s deformity for the alleviation of pain and to restore function to the wrist.